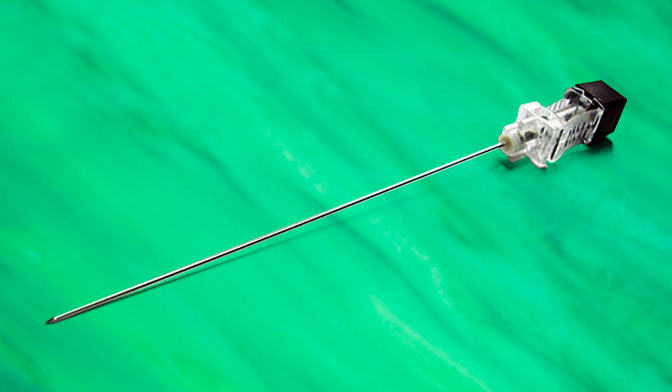 We produce high quality needles for a variety of industries, including the medical and surgery sector. We are committed to providing all of our customers with premium grade needles that are produced to exceed the expected standards in the needle production business. We believe that going above and beyond the requirements for needle products results in our customers getting a better service and premium experience when using our products. These spinal needles are made from high quality stainless steel that Barber of Sheffield are famous for. They have been produced specially for the medical and surgery sectors and are suitable for use in both major and minor medical procedures. These specialised needle products are manufactured with a thin stainless steel wall. This allows medication or other medical fluids to be injected using this needle. They have a transparent hub which is produced to international specifications. These needles are available with or without graduated centimetre markings as well as depth markers on the needle shafts. Our needles are also available with a variety of point types and specifications. We can create bespoke needle products for whatever you may require, whether you need a large bulk order or smaller quantities. Speak to one of our expert team who can discuss the available options.